All investors have to start somewhere—but where, exactly? 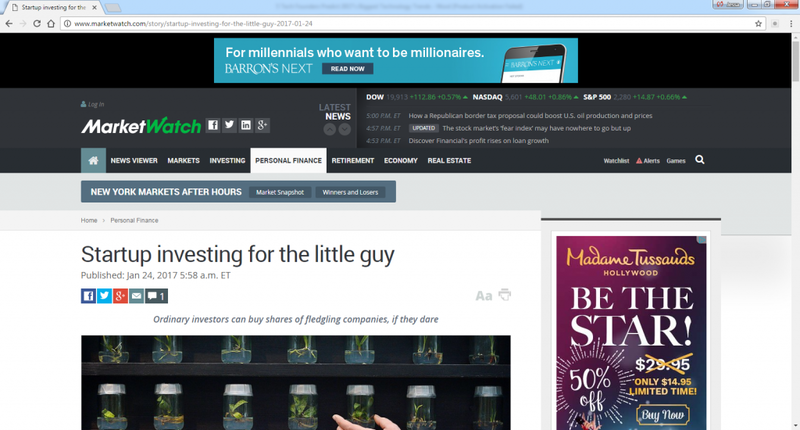 That’s what MarketWatch wanted to figure out when they asked investors like myself tips for getting started. Crowdfunding is at the heart of where a lot of newbie investors start these days, and odds are the equity sector will keep enjoying growth. I personally like to invest in startups via DreamFunded, but there are a lot of great platforms out there. The future looks bright for startups because there’s no requirement for just one type of investor anymore. Still, as an investor or a startup founder, it’s smart to shelve your dreams of getting rich quickly. Savvy investment takes time and calculated risks. The good news is there are more avenues than ever these days to invest, but you still need to do your research no matter how much (or little) you’re investing. The three easiest tips to get started include reading everything you can, especially if it has to do with management. Next, check out how managers get compensated. Are they banking on crowdfunding? Finally, figure out whether you’ll get voting rights with your shares.